Meet Jenna Frye! She is a 23-year-old Central Michigan University graduate with an undergraduate degree in public relations. She has held internships at the March of Dimes, University of Michigan Health System and now the Hungry Dudes. Her hobbies include baking, reading and running. 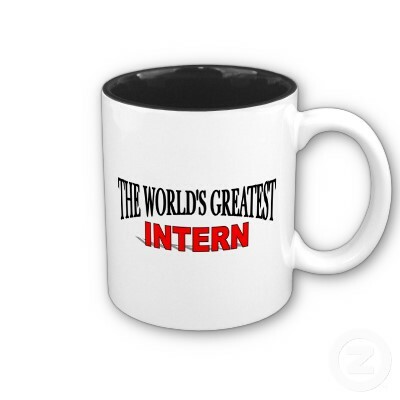 Can you tell us about the company you are currently interning for? My current internship is for the Hungry Dudes, a popular food blog in Metro Detroit. The blog began as a way to explore and promote the food scene in the Detroit area (and to prove there ARE positive atmospheres and fun places to go to in Detroit!). The five members (all talented writers and photographers) are often invited to visit restaurants, take photos and write about their experiences, which they in turn share with their followers on their website and social media outlets. My internship is mostly remote, meaning the majority of the work I accomplish is from home. I'm responsible for their weekly newsletter as well as some copy editing and designing print pieces. I've also written press releases and fact sheets. I try to meet up with a few of the members at least once a week at their photo shoots or food events. 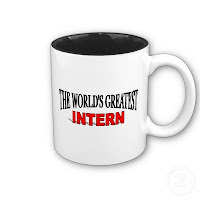 What makes your internship unique? This internship has been unique in a few ways--it's great to be trusted to do things on my own time. They trust me with posts to their website and social media sites, which makes me feel like one of the team! Since I'm also job searching, they're helping promote me to their networks too, so this is proving to be more than just an internship that builds my portfolio because it could lead to a job opportunity with someone they know. On a non-professional level--I've tried a lot of new foods like different seafood dishes, thai food and other things I would have never ordered the menu myself. Some of the dudes actually joke that I'm their "notsohungry intern" but I think it's making me more adventurous in my food decisions on my own now! Follow Jenna on Twitter @jenna_frye or check out her website jenna-frye.com!